In 1959 Disney would release the classic ‘Sleeping Beauty’ which would be talked about for years to come. With each release, the film has received the royal treatment from VHS to a Platinum Edition DVD and now a new presentation of the film as has never been seen before. The animators over at Disney are not resting on their laurels for the new Blu-ray release. For a film that cost Disney $6 million dollars to make in 1959, that was just insane by film standards in the 50’s. The film would make $9.3 million dollars during its run at the box office. The story of ‘Sleeping Beauty’ is a simple one, yet so ever so elegant. The simplicity of the story seems like this would be a movie that wouldn’t last 30 minutes in run time, but Erdman Penner who was heavily involved with ‘Sleeping Beauty’ makes us think otherwise. The story begins with Princess Aurora at the infant stage of life is being celebrated at her christening. The fairy godmothers show up to give her the gift of beauty, but there is a problem when the witch Maleficent makes her presence felt placing a curse on the princess. The curse is death due to a spinning wheel, which if Princess Aurora pricks her finger on will die by the age of 16. Her father decides that he will get rid of the spinning wheels in the kingdom. As the fairies have taken the Princess in hiding so she stays safe until she turns 16, well she ends up falling asleep until a prince comes along and gives her a kiss that will wake her up. There we have it with our fairy tale, very simple, and yet as elegant in presentation as I mentioned earlier. Once you starting viewing the Blu-ray version of the film from the first frame, your jaw will drop the floor not once or twice, but a few times. 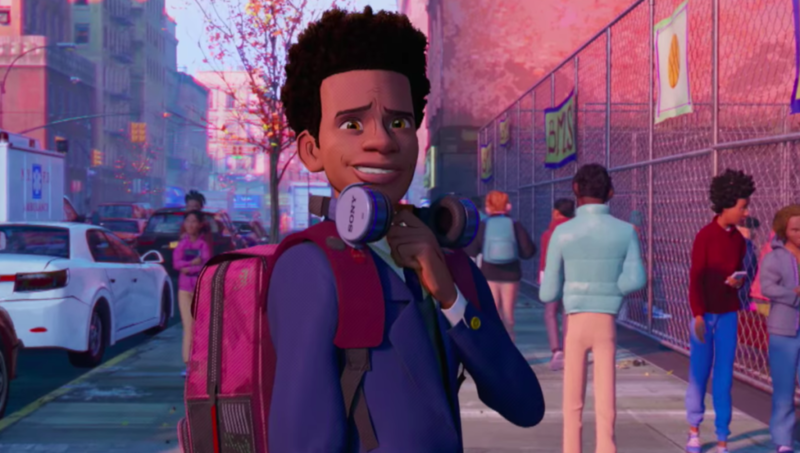 This animated film, based off of the old Walt Disney way of creating their cartoons which were hand drawn before the computer world showed up is visually stunning. If this can be done with an animated film from the 1950’s, I can only imagine what the rest of the Disney films in their catalogue could look like if given the proper treatment. The print is presented in a 1080p MPEG-4 AVC transfer with a new 2.55:1 aspect ratio for the film. The colors in the film are just eye popping from the opening scene that really pulls you into the film like no other animation. Just look at the colors of the clothing, artwork, the medieval tapestries, and even the plant life all around. I was awestruck at how good this film looks and this almost brings a near 3D look to the film that was never there. Just the details alone really are captivating as I mentioned earlier. The animals now look even more lifelike than they ever did. This is a feet considering in previous version of the DVD, I found the presentation to looked rather washout a bit. The image is very clean and crisp, albeit a few minor issues at the beginning of the film. There are a few areas in the print that are rather soft, so it makes me believe that it is how that print is and nothing could be changed about it since the same issue is on the DVD. There were times where I just sat there in awe viewing the film; I do agree that this does look like a darn painting from scene to scene that others have said about the film. I don’t think I have yet to see a transfer on Blu-ray or HD DVD that was as colorful as Sleeping Beauty. That is a testament showing what can be done with the proper time that is placed into remastering a transfer. The audio is presented in a DTS-HD Master Audio 7.1 mix which does not disappoint either. The score used in this film has been brought to life with the new high definition resolution audio. I couldn’t believe the sounds that were coming from all over the room with my setup and the rears were getting their workout too during many of the scenes. Dialogue is handled very well through the center channel with very clean and clear presentation. If Disney engineers can do this with a film that is 50 years old, I can only imagine what they will do once the remainder of their catalogue starts to debut on Blu-ray. With the Platinum Edition of Sleeping Beauty to Blu-ray, all of the DVD features + the exclusive Blu-ray features including BD-Live. Disney has gone all out with this release even including a DVD version of the film. Imagineering – A fascinating fully-immersive 3-D experience recreating the original Sleeping Beauty Castle Walk-Through that Walt supervised over 50 years ago. Viewers can choose to tour the attraction in “Auto Mode,” where you get to experience it the way it was originally intended, or choose to view the experience with “Commentary” by Disney’s famed “Imagineers” and take a look behind the magic of these detailed dioramas. All New Documentary “Picture Perfect: The Making of Sleeping Beauty” – an exciting and inspiring behind-the-scenes look at the creation of the final fairy tale to be produced by Walt Disney himself. A New DVD Game, “Briar Rose’s Enchanted Dance Game” – Relive this magical moment and help Briar Rose’s animal friends to dance, and take lessons to learn to waltz. 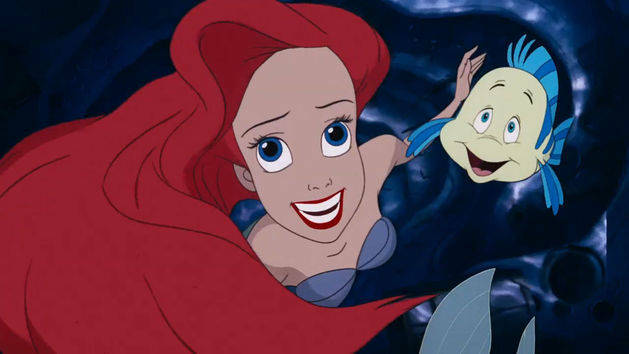 Four Deleted Songs – Four new musical numbers that were not used in the final film arepresented using original storyboard art and demo recordings. Grand Canyon (Featured in HD on Blu-ray) – This Academy Award® winning short accompanied Sleeping Beauty in its release in theatres. The Peter Tchaikovsky Story (Featured in HD on Blu-ray) – An episode of Walt Disney’s legendary TV series in which Walt previews the Studio’s upcoming release of Sleeping Beauty which uses the Tchaikovsky score as the source of its music. Also included is a dramatic reenactment of how Tchaikovsky came to write his score for the ballet. Four Artists Paint One Tree (Featured in HD on Blu-ray) – This featurette looks at one tree interpreted by four distinguished Disney artists, including Eyvind Earle, the well respected American painter who served as stylist for Sleeping Beauty. Fun with English Game – Help the 3 fairies prepare for Briar Rose’s 16th Birthday and learn English by playing a series of innovative DVD games. Maleficent’s Challenge – Go head to head with one of Disney’s most infamous villains. Think of anything in the world and Maleficent will read your mind. Keep your wits about you, for that is the only way to defeat her. Dragon Encounter – The ultimate audio experience utilizing Blu-ray high-definition 7.1 or 5.1 audio quality. Explore Maleficent’s dungeon in a fully-immersive audio sensory adventure like you’ve never experienced before. Deep in the bowels of Maleficent’s dungeon a dragon encounter awaits. 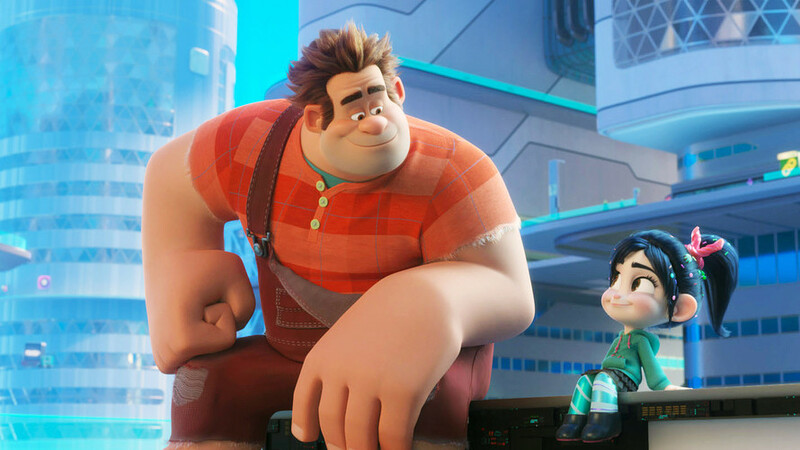 Cine-Explore – An all new Cine-Explore experience with full motion Picture-in-Picture featuring commentary by John Lasseter, Andreas Deja & Leonard Maltin. Restoring The Sound Track – This featurette will cover the creation of the all new 7.1 mix of the score of Sleeping Beauty that was done exclusively for this Blu-ray release using the source tapes from the original recording sessions resulting in an audio experience of superior quality with greater detail and fidelity than you have ever heard before. Customized Living Menu – This menu is exclusive to Sleeping Beauty Blu-ray Disc owners only. It is a “real time” virtual castle that magically changes based on the viewer’s location, time of day and current weather forecast (requires Live enabled players). If preferred, viewers will also have the ability to manually change the castle’s weather to match any of the Magic Kingdom Castles around the world. Movie Chat – Communicate with your remote friends on-screen while in a synchronized viewing party using your remote control or any text enabled device such as a laptop, desk top or any PDA device such as a Blackberry, iPhone or most other regular cell phones. Your chat session will appear over the movie and occur in realtime while watching the movie together. Movie Mail – Blu-ray owners will be able to record a personalized video message of themselves, superimpose that capture onto one of many pre-selected clips of the movie, and send it off to a friend, colleague, or relative. This specific feature enables the Sleeping Beauty Blu-ray Disc owner to personalize a very special greeting as never before. Movie Challenge – Users will be able to test their skills against other players in a synchronized, real-time, online trivia game while watching Sleeping Beauty with anyone online. Movie Challenge is always active no matter what time of the day it is, and there will always be a game in progress. Disney Movie Rewards Live – Sleeping Beauty Blu-ray owners will be able to accumulate Disney Movie Reward Points by participating in many Disney BD-Live Network activities. In return, viewers can redeem points for exclusive content such as Avatars, downloadable extras and many more exciting possibilities. 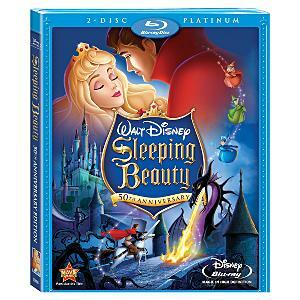 If you are a fan of Disney film or animation in general, I highly recommend purchasing ‘Sleeping Beauty’ on Blu-ray. This is one film that will prove what can be done with an animated film, even 50 years later. With superb audio, video quality, a plethora of extras, and the addition of a DVD you can’t go wrong with the Blu-ray version of the film. You are really a excellent webmaster. The website loading velocity is incredible. It seems that you’re doing any unique trick. Moreover, The contents are masterpiece. you’ve performed a excellent task in this subject! I actually wanted to jot down a quick remark to express gratitude to you for these marvelous strategies you are posting on this site. My rather long internet research has at the end of the day been honored with beneficial tips to go over with my close friends. I ‘d assume that we website visitors are extremely fortunate to exist in a fabulous network with very many special professionals with helpful techniques. I feel very much fortunate to have come across the website and look forward to really more thrilling moments reading here. Thanks a lot again for all the details.